EXPECT: Head to the Hilton Palm Springs for a poolside mini fest-within-the-fest. Weekend two sees Cash Cash, Rae Sremmurd, Just Blaze and more on Friday, an OWSLA pool party takeover with head honcho Skrillex and friends on Saturday and Lido, Louis The Child, POMO, Hoodboi and others on Sunday. For a look at the complete lineup, go HERE. ODDS YOU'LL BE ABLE TO SNEAK IN: Just buy a ticket! All day tickets start at $20, weekend passes are $50 and you can buy them HERE. ODDS YOU'LL BE ABLE TO SNEAK IN: 100%, they do want your vote, after all. 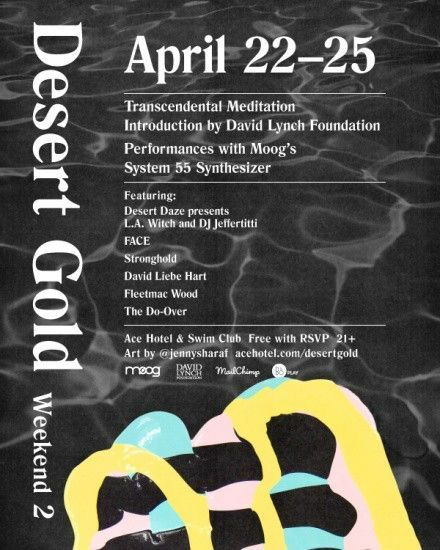 EXPECT: The eighth annual sun-soaked soirée will feature meditation sessions and workshops led by the David Lynch Foundation, a pop-up synthesizer lab by Moog, a new mural by by Jenny Sharaf, a set from LA Witch and DJ Jeffertitti and poolside cameos by a vast platter of party starters. The website describes it as "an 11-day golden goose egg of sunlight and sand and desert holy, and it's yours for the yessing." Seems pretty enticing to us. 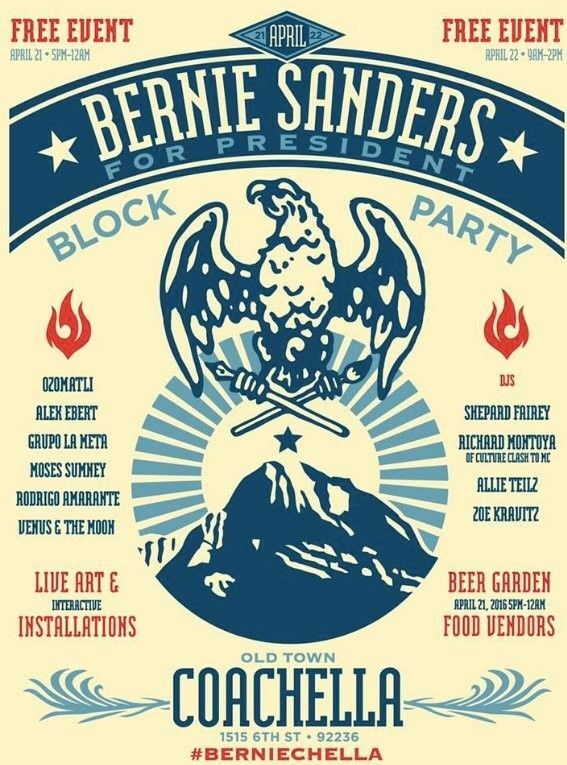 ODDS YOU'LL BE ABLE TO SNEAK IN: This event is free with RSVP, baby! EXPECT: If you're craving some R&R but still want to party, make your way six miles South of the festival grounds for Party In My Living Room's second annual festivities. 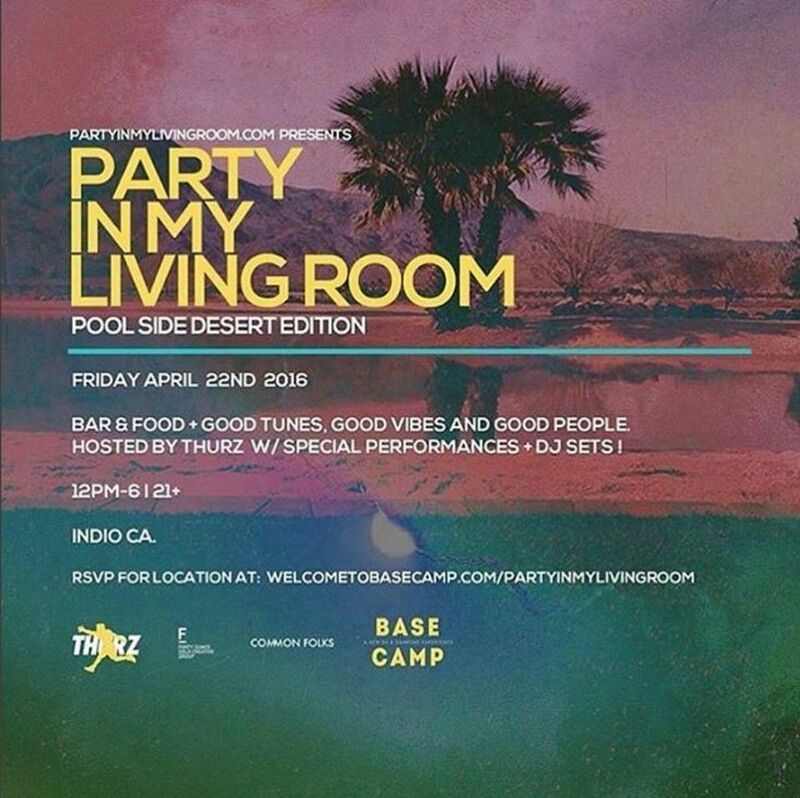 Hosted by Thurz and situated on Base Camp's 40 acre ranch, the poolside desert day party will feature pop-up restaurants, cocktail and coffee bars, massages and yoga, hot air balloon rides, festival transportation, and surprise performances. Time to chill. WHEN: Friday April 22, 12pm-6. ODDS YOU'LL BE ABLE TO SNEAK IN: 100% - This 40-acre event is free with RSVP, baby! 21+. EXPECT: The eighth annual sun-soaked soirée will feature meditation sessions and workshops led by the David Lynch Foundation, a pop-up synthesizer lab by Moog, a new mural by by Jenny Sharaf, a set from LCD Soundsystem's Nancy Whang and poolside cameos by a vast platter of party starters. The website describes it as "an 11-day golden goose egg of sunlight and sand and desert holy, and it's yours for the yessing." Seems pretty enticing to us. WHAT: Sweater Beats Presents "Heat Wavs"
EXPECT: Couldn't make it to Friday's festivities at Base Camp's desert oasis? Have no fear. 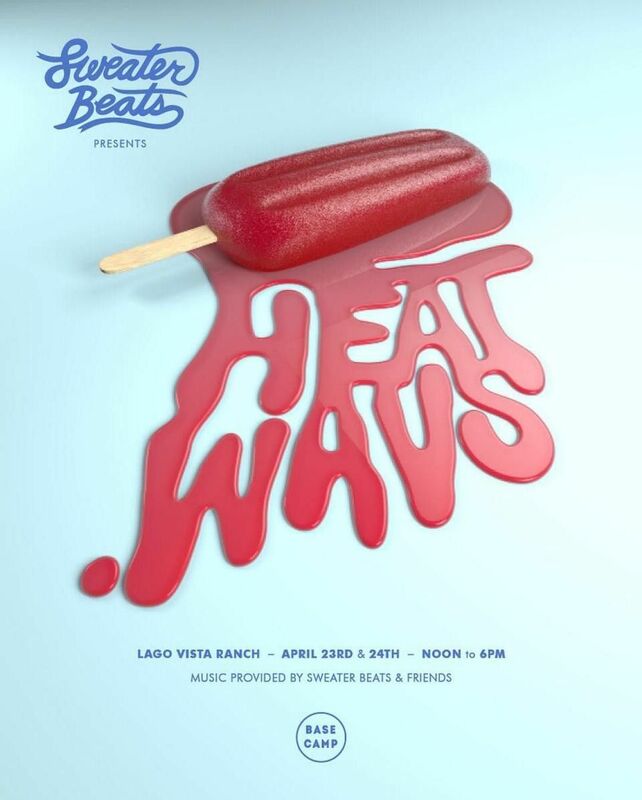 Sweater Beats & friends are saving the day with their "Heat.Wavs" party. Get comfy with some cashmere beats, and don't forget to take advantage of the complimentary concierge service. WHEN: Saturday and Sunday, April 23-24. 12pm-6. ODDS YOU'LL BE ABLE TO SNEAK IN: This event is free with RSVP, baby! 21+. 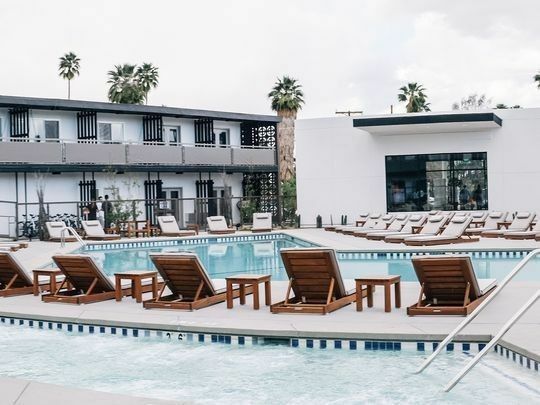 EXPECT: The luxury hotel is hosting a huge boozy brunch at their poolside lounge, Elixir, featuring several fashion brands (and accompanying new collections) and a Whispering Angel Rosé sponsorship -- so you know it's about to go down. 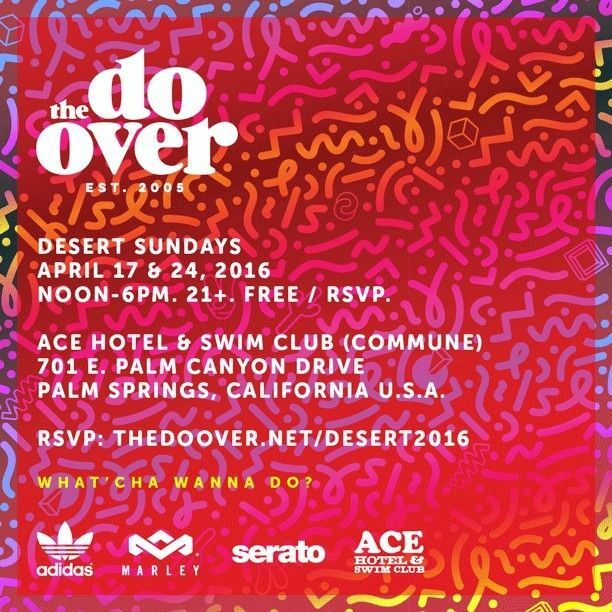 EXPECT: Presented by adidas Originals, House of Marley, Serato, and Ace Hotel, this day party will be the epitome of your wet & wild dreams. Blow up your beach balls! WHEN: Sunday, April 24, 12pm-6. EXPECT: The eighth annual sun-soaked soirée will feature meditation sessions and workshops led by the David Lynch Foundation, a pop-up synthesizer lab by Moog, a new mural by by Jenny Sharaf, performances by Fleetmac Wood and poolside cameos by a vast platter of party starters. The website describes it as "an 11-day golden goose egg of sunlight and sand and desert holy, and it's yours for the yessing." Seems pretty enticing to us.